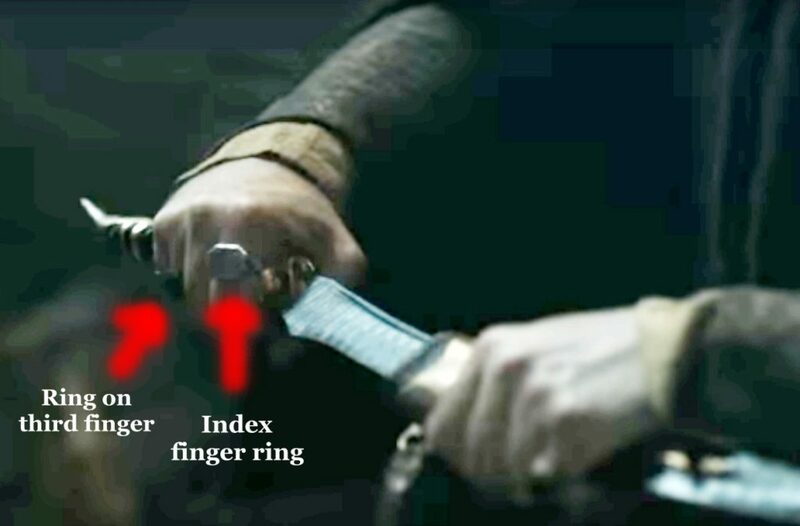 Each week when we get a new Game of Thrones preview, I take some time to run through it a few times slowly (sometimes frame by frame) to see if I can find clues in the darkness. Often those sneaky editors throw in shots that at first glance, appear to be empty or nearly blacked out, and end up giving us valuable information. This may be one of those weeks. Though at first I thought nothing much of a quick flash of knife being unsheathed, curiosity prodded further examination, and I quickly realized whose hands were on the dagger. That oblong shaped ring on his index finger is pretty easily identifiable in the shot from this coming Sunday’s episode preview, and another ring appears to be on his third finger (the pinky isn’t clear enough to see). 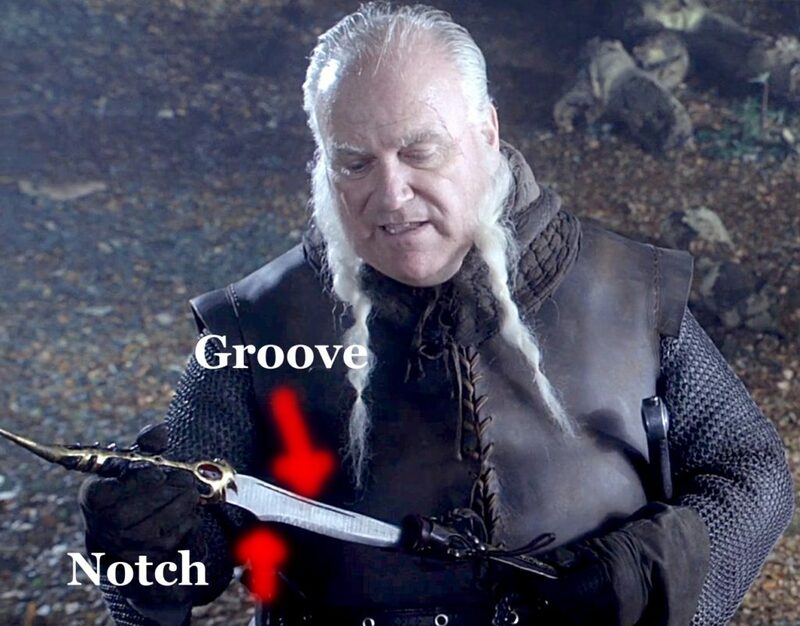 Come to think of it, that blade he’s unsheathing looks kind of familiar, doesn’t it? 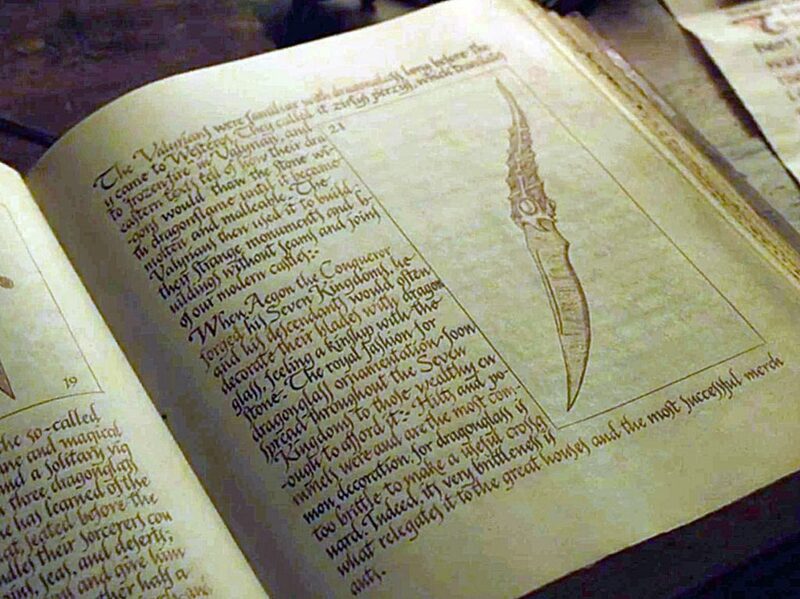 a Valyrian steel dagger also seen held by Ser Rodrick in Season 1. This particular blade has a couple of easily identifiable features, including a distinctive notch (I know it’s not truly a notch [indentation], but what to call it? *I’ve been informed by a reader it’s called a quillon. H/T Tyburn. ), and a groove — called a fuller or a blood groove. 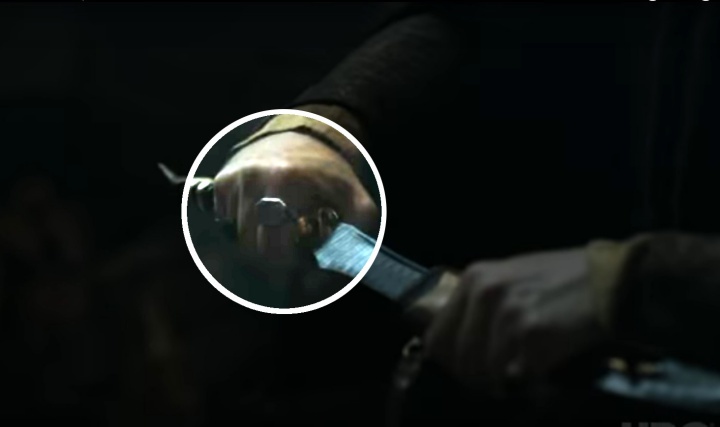 The dagger that Littlefinger is holding in “The Spoils of War” preview is the same blade in Ser Rodrick’s hand — Littlefinger’s once lost Valyrian dagger, used in the Season 1 assassination attempt on Bran, as Baelish claims in episode 3, “Lord Snow”. 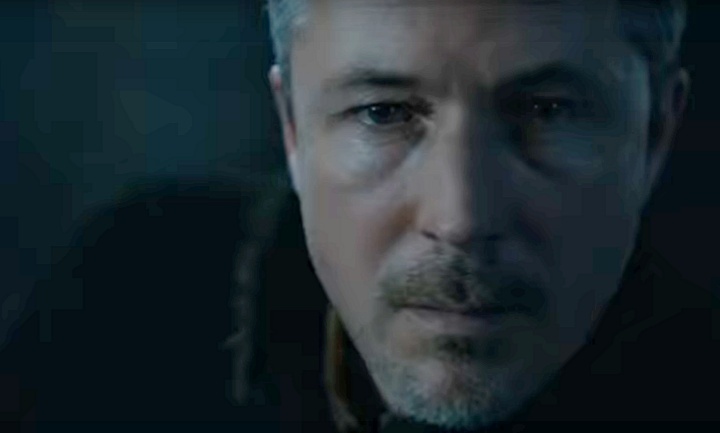 My first thought is that Baelish is about to go after Bran again. As Sansa mentioned to her brother, he’s rightful Lord of Winterfell, though Three-Eyed Bran noted he can’t be lord of anything. 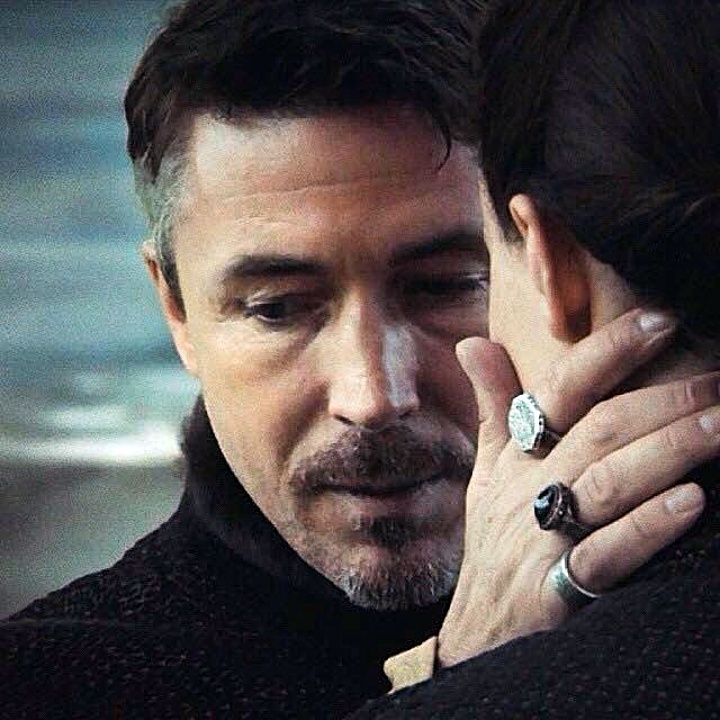 But Littlefinger wasn’t privy to that conversation, and he’ll want Bran out of Sansa’s his way, since Bae(lish) is still deluded enough to believe he’ll actually be with Sansa. 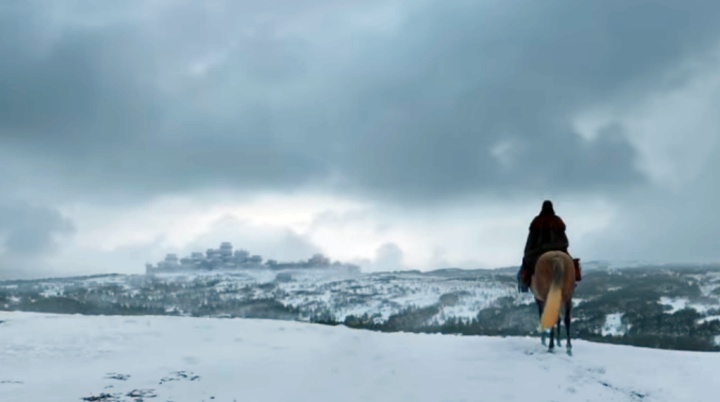 … and lo and behold, the Episode 4 promo has a shot of Arya (on her horse with the blonde-ended tail), headed to reunite with Jon (and Sansa) after Hot Pie told her Jon is King in the North. 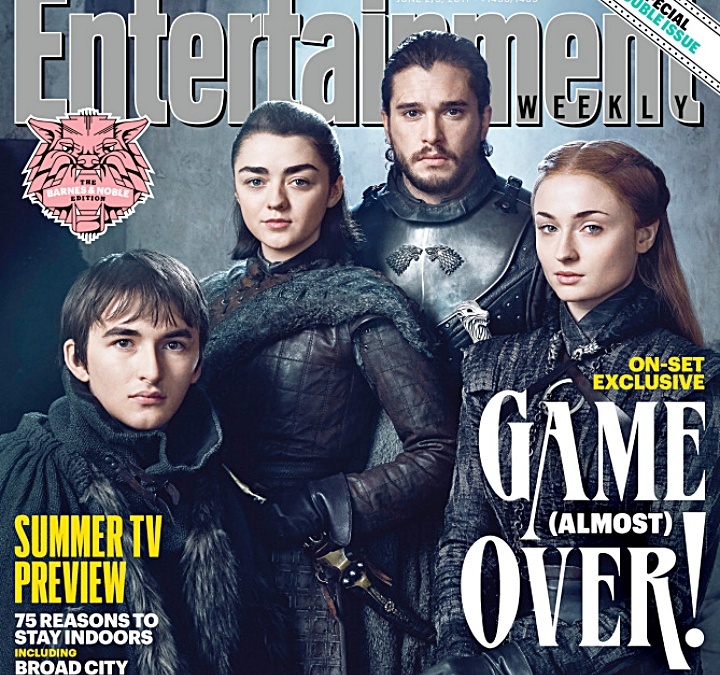 If that cover photo isn’t a false spoiler — if Arry really does have Littlefinger’s dagger — it looks as if a girl is about to stop her brother’s murder (all that Faceless Men training and fighting the Waifinator paid off!) 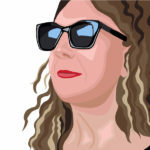 and take out one of the series’ longstanding manipulators, and the man who betrayed her father. Alternate scenario posed by Nadine: Nymeria shows up again, and attacks Baelish, mirroring the first season scene in “The Kingsroad” when Nymeria went after Joffrey. I think we’re all expecting to see her direwolf again. My completely bananas alternate scenario; Lady Stoneheart shows up to help do away with Ned’s betrayer. Yeah, crazy I know, but wouldn’t it be fun? Here’s the full preview for Game of Thrones, Episode 4, “The Spoils of War”, which airs on HBO Sunday, August 6th. 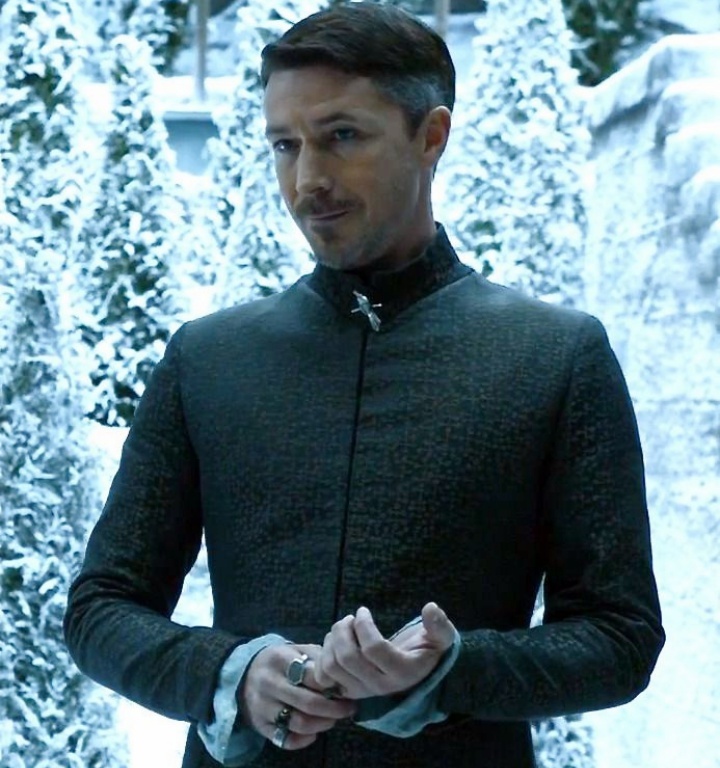 Tags: Aidan GillenArya kill LittlefingerArya StarkArya x NymeriaBaelish catspaw daggerBaelish kill BranBran Lord of WinterfellCatspaw assassinCatspaw daggerCitadel bookCitadel libraryDoes Arya have the catspaw dagger?Does Baelish try to kill Bran?Game of ThronesGame of Thrones S7 E4Game of Thrones S7 E4 previewGame of Thrones Season 7Game of Thrones Season 7 Episode 4 PreviewGame of Thrones The Spoils of WarJon SnowLittlefingerLittlefinger catspaw daggerLord SnowMaisie WilliamsMatt ShakmanNymeriaNymeria x AryaPetyr BaelishSamSam bookSam restricted areaSer RodrickThe KingsroadThe Spoils of WarValyrian steelValyrian steel daggerWho has the catspaw dagger?Who will kill Baelish in Game of Thrones?Who will kill Littlefinger?Will Arya kill Baelish?Will Arya kill Littlefinger?Will Nymeria kill Baelish?